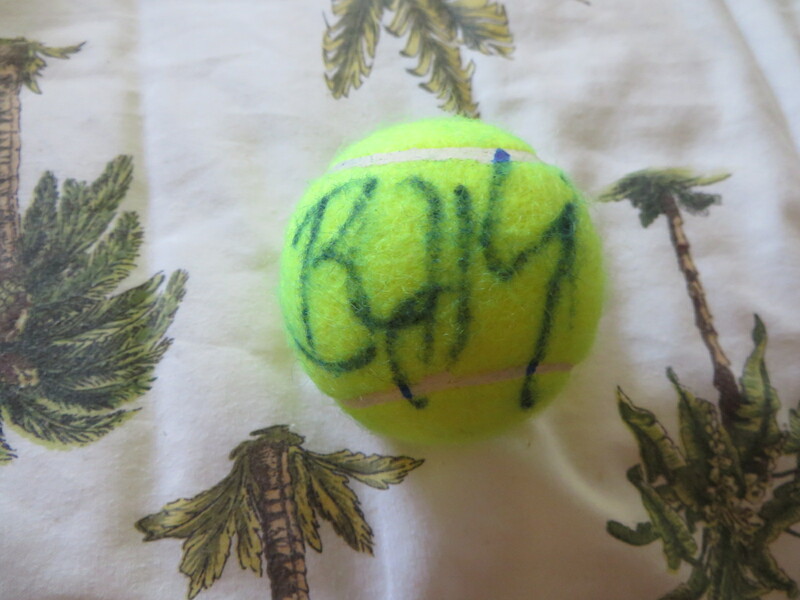 Tennis ball autographed in blue marker by legendary WTA Tour and women's sports pioneer Billie Jean King. Obtained in person. With certificate of authenticity from AutographsForSale.com. ONLY ONE LEFT.